Growing up in the farm country of Kansas, Loren could often be found drawing in the fields or forests during breaks from busy farm and ranch life. Many an hour was spent simply observing nature, especially before a storm when wildlife was the most active. Young Loren poured over the horse illustrations in Will James books and visited the Nelson-Atkins Museum of Art in Kansas City which fired his artistic imagination and ambition. He made his first sale on a drawing of a cutting horse in action to a neighbor for all of 10 cents, who bought the piece to hang in a horse stable. While in high school, Loren nurtured his artistic talent through course work at the Famous Artists Correspondence School and through his studies with three masters of representational painting, Ned Jacob, Bettina Steinke and Richard Schmid. Upon leaving his childhood home, Loren worked as a Montana ranch hand where he came into contact with other Western artists. Cowboy by day and artist by night, Loren soon began to realize it was possible to make a living as an artist. With a young family to provide for, he took a leap of faith and started working as a full-time artist in 1981. In 1992, Loren was honored to be elected as a member of the Cowboy Artists of America, an organization which strives to perpetuate the memory and culture of the Old West as typified by the late Frederic Remington, Charles Russell, and others. Throughout his career, Loren has been honored with numerous awards, including the coveted Robert Lougheed Memorial Award at the Prix de West Invitational Art Exhibition, which is based on the vote of participating artists. 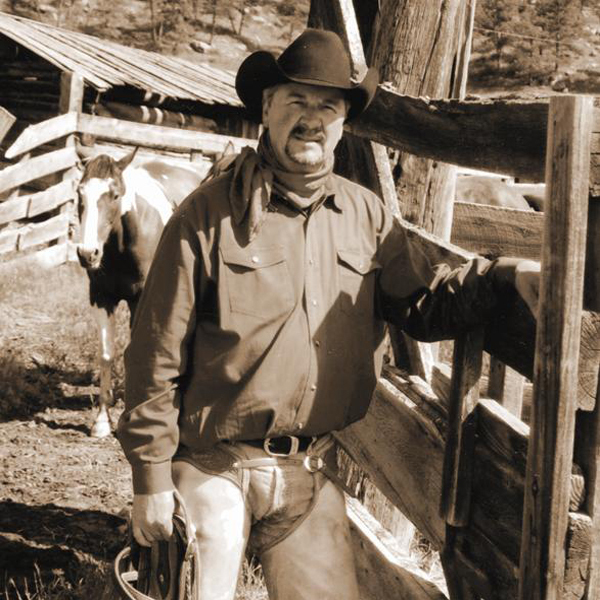 Loren's work has been featured in several magazines, including Western Horseman and Art of the West. Additionally, Loren was honored to be guest artist and speaker at the 2006 C.M. Russell Auction of Original Western Art in Great Falls, Montana.